Fima Katz serves as the founder, president, and CEO of Exadel. He founded the company in 1998 with a vision of fundamentally improving the way companies use innovative technology to develop mission-critical business applications. This contemporary vision proved to be successful as Exadel’s business grows by at least 30% annually. Through his leadership, Exadel has been a forerunner in the enterprise open source solutions market and a pioneer in utilizing component-based architecture and open source approaches. Exadel has facilitated the success of its clients by radically reducing corporate costs and development time. Most recently, Fima has guided Exadel into a leading position in mobile applications, data storage, and cloud technology through the cloud-based mobile platform, Appery.io, created by Exadel. Fima has over 20 years of experience in the information technology industry. He has held managerial and technical positions with major financial service companies, including Wells Fargo Bank, Bank of America, and Concorde Solutions, where he served as the Chief Architect of Internet Systems. In addition, he founded three other successful companies. His technical expertise includes the design of complex, mission-critical distributed object (CORBA/DCOM) systems and the integration of legacy enterprise systems into business services. Fima is a recognized authority and speaker on distributed object architectures, open source, JAVA, XML, and DOA technologies and has co-authored The Essential Guide to Object Monitors (Wiley, 1999). As the COO for Exadel, Alex Kreymer brings a wealth of experience in global business operations, delivery, industry/solution practice development, sales, and finances. He is tasked with running the company day-to-day, while directly overseeing delivery, regional management, resourcing, infrastructure, administration, sales operations, and business operations. Alex is passionate about improving the operational fitness of businesses and developing organizational talent. Prior to joining Exadel, Alex held a variety of executive roles at Electronic Data Systems (EDS), including as Vice President and Regional Operational Director for the United Kingdom, Ireland, Middle East and Africa—a $4 billion business with more than 20,000 employees. He also served as EDS’ Chief Operating Officer for a record-breaking $6.9 billion contract, linking more than 350,000 users to one of the largest intranets in the world. Alex has held senior leadership roles in the EMEA and Latin America regions in operations, government and industry products and solution delivery organizations, and served as the managing director of a $3 billion 10-year outsourcing contract with the UK Inland Revenue Department. He also served as Chief Operating Officer at Return on Intelligence, an application outsourcing company, at Exigen Capital, a private equity and venture capital fund, and as Chief Executive Officer of Exigen EbIT, a technology start-up. Lynne Walter has served as Chief Financial Officer for Exadel for over 16 years. She ensures Exadel continues to maintain its track record of fiscal discipline and operational excellence, while pursuing technological innovation. Lynne is also responsible for administrative aspects of Exadel’s operation. Lynne bring with her 25 years of comprehensive executive, operational, and financial experience. She has held a wide array of managerial positions including Chief Operations Officer, Chief Financial Officer, and IRO with the Greenbrier Companies, a leading manufacturing company with annual revenues exceeding $600 million. Additionally, Lynne has held a long-term auditing role with KPMG and many board roles, including president, for multiple non-profit organizations. Lev Shur is the President of Exadel Solutions. He is responsible for the strategy, sales, and delivery of industry solutions, along with managing key alliances and partnerships. Lev is a seasoned business development executive and software entrepreneur. His successful career also includes software development and technology consulting. In 2010, Lev merged 741 Studios, a financial technology consultancy he founded, with Exadel. Under his leadership, 741 Studios experienced exponential growth and earned a respected reputation with its clients, including American Express, Bank of America, Deutsche Bank, and UBS. Prior to founding 741 Studios, Lev was the Vice President of Analytics at LifeStreet, a digital marketing and advertising company, where he built and managed a large-scale data warehousing and analytics platform. Before LifeStreet, he was one of the co-founders of Exigen, a provider of transformational software and BPO services for the financial, insurance, and telecommunication industries, where he was responsible for new product development and scaling software development and project delivery teams. He was also employed at Concorde Solutions, a software division within the Bank of America. There, he was responsible for product management for a set of systems integration products deployed widely in the bank. Lev was also a partner at an IT consulting firm with a focus on data warehousing and analytics. Lev delivered projects for major telephone companies (ATT, Sprint, MCI, and KPN) as well as retail and manufacturing clients. Igor Landes currently serves as the Chief Delivery Officer at Exadel and has previously served as the Vice President of Engineering. He oversees the quality of technology solutions delivered to clients while directing the software development process. Igor has over 25 years of extensive experience in the software industry, holding positions from software engineer and solution architect to Vice President of Applications and Software Development. His experience includes building tools and complex integration solutions based on a process-centric approach and SOA/BPM architecture. 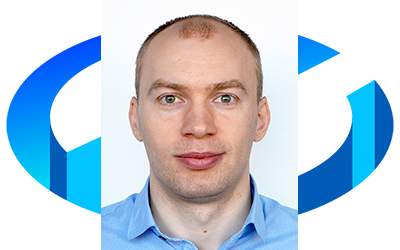 Igor has been managing distributed development, creating highly energized global teams with a focus on the reduction of software project risks and on the cost-conscious management of all aspects of the software project lifecycle. He has a proven track record delivering complex projects in a high-pressure environment and an extensive background in leading globally distributed software development projects. 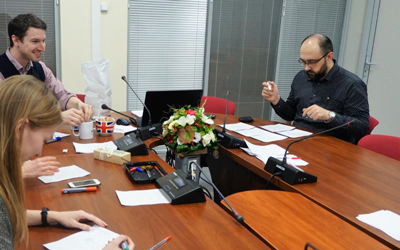 Igor brings to Exadel involvement in creating solutions and products in the finance industry including wealth management, lending, securities trading, fixed income securities analysis, and options arbitrage. His software solutions have improved business agility and operational efficiency for many organizations. 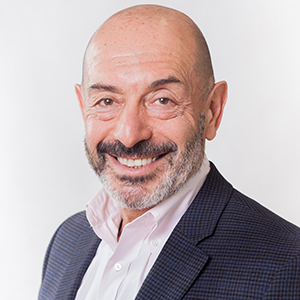 Gregory Katzman is currently Vice President at Exadel. He manages Exadel’s highly rated client customer care, training, and support teams. Greg has been an employee since 1999 and has administered a critical liaison role, maintaining communications with and expanding Exadel’s offshore development teams in Eastern Europe. He ensures punctual project delivery and effectiveness for Exadel’s enterprise client base. Greg has acquired a wide array of technical, operational, and client management skills and experience from over 20 years of IT experience. He has previously worked with Abbott Laboratories and served as a senior systems consultant, designing complex database interfaces and inventory management systems. In addition, Greg has held management and IT positions with Bank of America (Concorde Solutions), Landis, and Gyr (now Siemens). Donna Burke is the Vice President of Technology Solutions for Exadel. She manages technology solutions for mobile and web application development in the enterprise software market. Donna acquired more than 25 years of global marketing, product management, sales, and general business management experience in software and services. Prior to joining Exadel, Donna was the vice president and co-founder of LEC Information Systems, a company providing specialized software development and consulting services to equipment manufacturers, service providers, and software tool companies. Previously, she held senior management positions in product management, marketing, and business development with Ericsson, Raynet, and US West Advanced Technologies. Donna has also consulted for both start-up and Fortune 500 companies.